Lim Hwee Hua, Second Finance Minister of Singapore, delivered a speech reassuring national MPs that the Government is taking adequate measures to maintain a competitive and fair tax system. 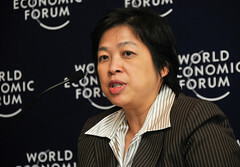 The speech delivered to the Singapore Ministry of Finance’s Committee of Supply Debate 2010 on March 9th, was intended to address the issues raised by members of the Committee on situations faced by Singapore and its Government. Among other topics, the speech sought to quell the concerns of several Members of Parliament (MPs) regarding taxation matters, citing multiple instances which showed that the Singapore Government’s taxation system had already adequately addressed the issue. In regards to treatment of national businesses, the Finance Minister said that the measures implemented to boost expansion in 2009 have proven to be highly successful. He stated that the claims process which requires no separate application and is included within a company’s end of year filing, has ensured that all applicable businesses have been able to take advantage of the opportunity. He noted further that the Research and Development (R&D) tax deduction instated in 2008 saw R&D activity increase by 50% by the end of 2009. Lim Hwee Hua said that the Government has no intentions of instating new tax privileges to Singapore’s social enterprises. He claimed that creating advantages will hinder self-sustainability for social endeavors, and that their relatively small size means that reductions in income tax will not have a significant impact on growth. Addressing local issues, the Minister explained that the property tax increases seen by residents of Housing Development Board (HDB) dwellings were a product of the yearly property value revisal. Further, the Minister pointed to the fact that the Government did not raise property taxes in 2009 on account of the relatively weaker economy, in effect lessening the impact of the tax increases. He reminded the MPs that HDB property residents were still eligible for rebates intended to offset the property-tax revision, and the new progressive property-tax system which could save recipients SGD 240 (approx. USD 172) annually. In response to concerns raised by several members of Parliament, the Finance Minister laid assurances that Singapore’s tax treatment of vehicles and fuel is already adequate to encourage eco-responsibility. He reminded the MPs that the Government has implemented volumetric taxation of petrol to discourage excessive use, and created several measures to ensure the economic competitiveness of fuel efficient cars, like the Green Vehicle Tax Rebate. He conceded that greater efforts should be made to convert all transport taxes to a volumetric basis, though did not commit to any timeframe for doing so, citing several issues like public transport and taxis as posing problems to the plan. The speech also covered optimal method for the Government to utilize its resources and maintain efficiency; indentifying measures to assist expansion of national businesses; and, ensuring readiness for future implementation of e-Government initiatives.